The main difference between ferritin and transferrin is that the ferritin is the protein that stores iron in the cell whereas the transferrin is the transporter of iron in the blood and other fluids. Furthermore, ferritin stores iron as Fe (III) while transferrin transports iron as Fe (II). Ferritin and transferrin are two types of iron-binding proteins in the body. Both of them play a vital role in maintaining the iron levels in the body. Ferritin is the protein that stores iron in the body. It is a universal biomolecule found in animals, plants, bacteria, and archaea. In mammals, it mainly occurs in the cytoplasm of the cells, in bone marrow, liver, and spleen. Hence, the amounts of transferrin in the cytoplasm depends on the function of the cell. Ferritin is made up of 24- peptide subunits, which surround a core of iron atoms. Small channels are responsible for the transportation of iron in and out of the core. These channels are made up of the intersection of three peptides and, they are called a three-fold channel. They are lined with polar amino acids such as Glutamate or Aspartate. The polarity of amino acids allows the iron atoms to make interactions with water. Another type of intersections called four-fold channels, which is made up of an intersection of four peptides, occurs in the ferritin and they are lined with Leucine, a non-polar amino acid. These channels allow the transport of electrons required by the reduction of iron in the core. Actually, the core comprises iron in the form of Fe (III), which takes up an electron to reduce into Fe (II). When the iron atoms become Fe (II), they can diffuse out from the core. In general, a core inside one ferritin molecule can store up to 4,300 iron atoms. Transferrin is the iron-binding protein responsible for the transport of iron in the blood and body fluids. It is a globular protein found in plasma. The size of transferrin is 80 kDa and it has two specific sites for the binding of iron in the form of Fe (II). These sites consist of tyrosine phenoxy groups, carboxyl groups of aspartic acid, histidine imidazole, and HCO3-. When transferrin is not bound to iron, it is called apo-transferrin. 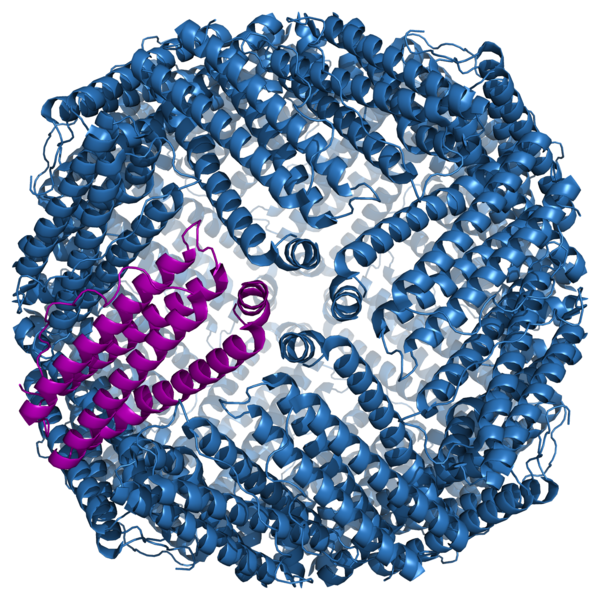 Mini-ferritin is another iron-binding protein found in bacteria and archaea. It uses iron to detoxify peroxides and dioxides. Ferritin and transferrin are two types of iron-binding proteins in the body. They are plasma proteins, which are globular. Both help in the regulation of iron content in the body. Iron binds to oxygen throughout the body while binding to hemoglobin. Ferritin refers to a protein produced in mammalian metabolism which serves to store iron in the tissues while transferrin refers to a plasma protein that transports iron through the blood to the liver, spleen and bone marrow. This explains the basic difference between ferritin and transferrin. Moreover, while ferritin occurs in all types of living organisms, transferrin occurs in vertebrates. The respective function of each is the main difference between ferritin and transferrin. Ferritin stores iron inside its core while transferrin transport iron in the blood and body fluids. 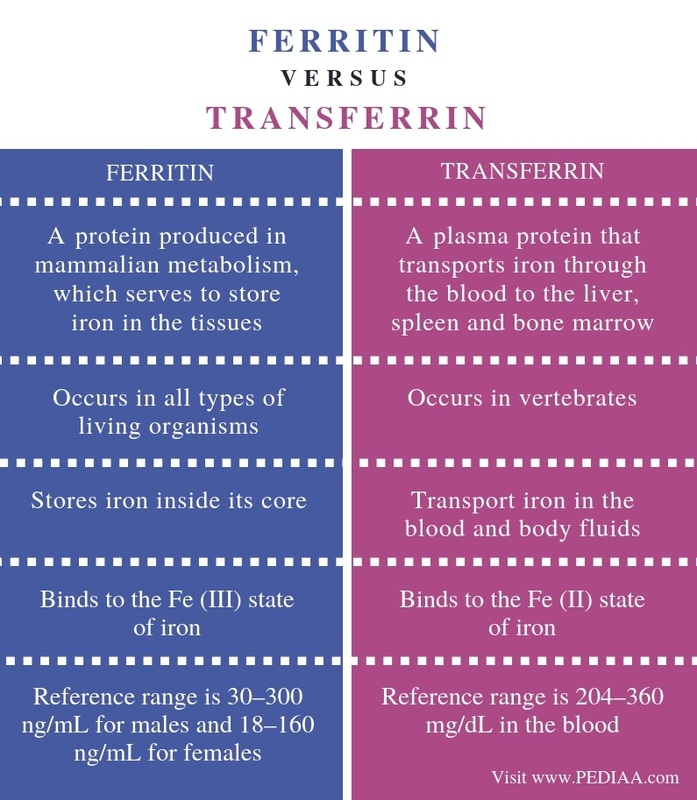 Another difference between ferritin and transferrin is that the ferritin binds to the Fe (III) state of iron while transferrin binds to the Fe (II) state of iron. The reference range of ferritin is 30–300 ng/mL for males and 18–160 ng/mL for females while the reference range of transferrin is 204–360 mg/dL in the blood. 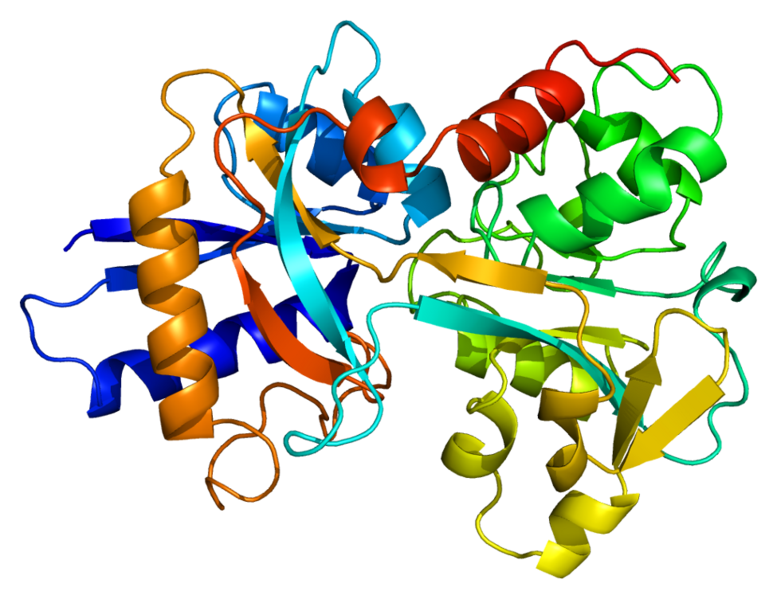 Ferritin is an iron-storage protein while transferrin is an iron-transport protein. Ferritin interacts with Fe (III) while transferrin interacts with Fe (II). Both ferritin and transferrin are iron-binding plasma proteins. The main difference between ferritin and transferrin is their function.